Can a marriage of convenience lead to true love? It is 1735. 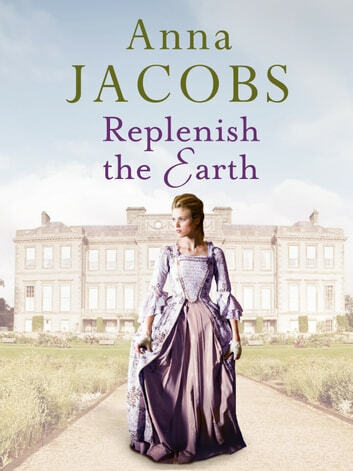 When her mother dies penniless, Sarah Mortonby is shocked to discover she has inherited a wealthy estate. Advised to sell the crumbling manor house to her neighbour, Matthew Sewell, she visits and decides to keep it instead. Sewell is furious – and he is a man known for getting his own way, no matter the cost. Unable to manage the land alone, and desperately needing help, Sarah proposes to her bailiff, Will Pursley – himself recently thrown off his farm by Sewell’s thugs. Can they save the estate together? Will the oppressed villagers help them, or be cowed by Sewell’s threats? And will the fondness growing between Will and Sarah turn into love? From Anna Jacobs, the much-loved author of An Independent Woman and Marrying Miss Martha, Replenish the Earth is a charming saga sure to appeal to readers of Annie Murray, Margaret Dickinson and Ellie Dean. I so like historic fiction thanks for an excellent plot. A good and light hearted read. Could not put it down in places.